Officials say two Saudi Arabian sisters whose bound bodies mysteriously washed up in New York City in October had killed themselves. The medical examiner on Tuesday said 16-year-old Tala Farea and 23-year-old Rotana Farea "bound themselves together before descending into the Hudson River." The cause of death was drowning. Investigators say the sisters traveled from Virginia where they were reported missing and stayed at hotels in the days before they died. A witness told police he saw them praying near the river before their bodies were found Oct. 24. 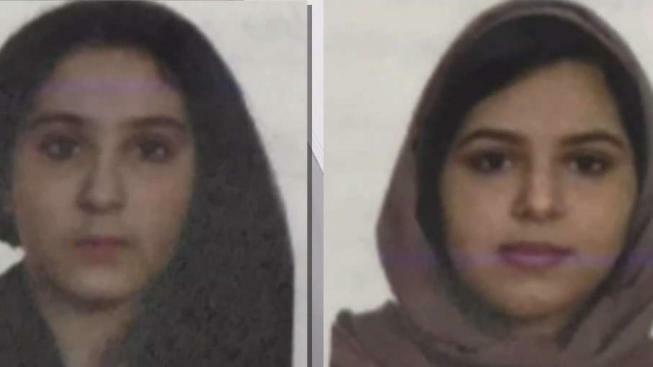 Police say the sisters told people they would "rather inflict harm on themselves" than return to Saudi Arabia. Their deaths shone a light on the secretive and risky journeys Saudi women take to flee their homes in the kingdom and abroad.